Local automated investment adviser and fund manager Stockspot has announced a move into artificial intelligence and machine learning, launching what it says is Australia’s first digital financial assistant. Stockspot founder and CEO Chris Brycki said the AI functionality analysed the data of thousands of clients and made targeted recommendations, helping investors optimise their portfolio as it learns. He said the robo-adviser was launching as part of a new investment dashboard, designed to make tax reporting easier and give users more control over investments. “Stockspot introduced robo-advice to Australia 2014 which automated and lowered the cost of investing. We see AI and machine learning as robo-advice 2.0, it is the future of digital advice,” Mr Brycki said. 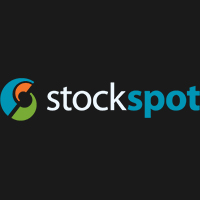 “Stockspot has grown to the size that we can now analyse the investment behaviours of thousands of clients and use that information to drive better investment decisions for everyone. When investing, your biggest enemy is often yourself, having digital financial assistant there to guide you will stop clients from making common investment mistakes. “Machine learning is in its infancy but it will change the investment and financial advice landscape. It will be like having a financial expert on call 24/7 that clients can access on their own terms. This level of personal advice has only been available in the past to the privileged few”. According to Mr Brycki many of Stockspot’s older clients rely on franking credits and dividends for income, and the new dashboard would provide the exact date when upcoming dividends are due, to make budgeting easier for retirees.